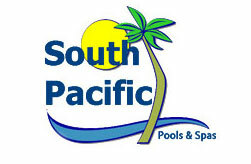 South Pacific Pools & Spas Geelong recommend and sell the Harvest Pool Range. Call 52 770 222 for a free quote. Harvest Pools service pool suppliers Australia wide, offering a large range of shapes, sizes and colours to suit your lifestyle and budget. With 17 colours and 4 colour ranges to choose from, Harvest Pools offer Standard, Cultured, Starlight and Shimmer ranges. * Colours may vary from screen sample and are intended as a guide for selection only.